Heavy Duty refuse sacks on a roll in a box dispenser. NEW - The Green Sack GR0600 Heavy Duty Black Bag 18 x 29 x 38 100% recycled Polythene. CHSA 5KG. 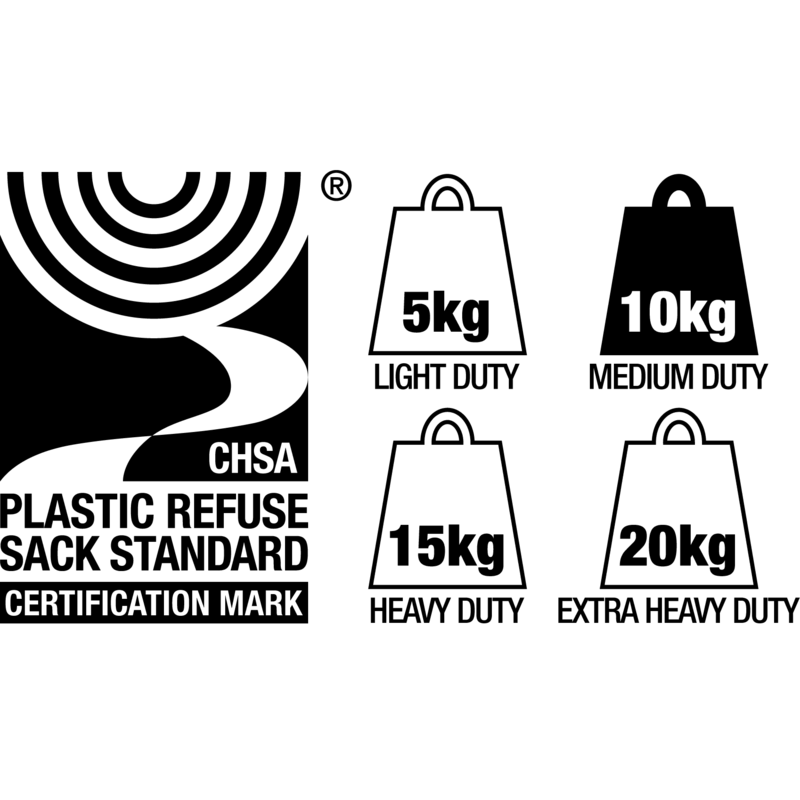 Thinner/ Stronger/ Greener - CARBON FOOTPRINT 35% LOWER than most other refuse sacks on the market. Recuces pressure on existing oil stocks. Reduces need to exploit new oil reserves in environmentally sensitive areads. BPI recycle over 70,000 tonnes of plastic at their UK plants, which are DEFRA accredited and certified to both ISO9001 QMS and IS14001 Environment Management System standards. Also proud members of the CHSA and fully accredited under their refuse sack accreditation scheme. 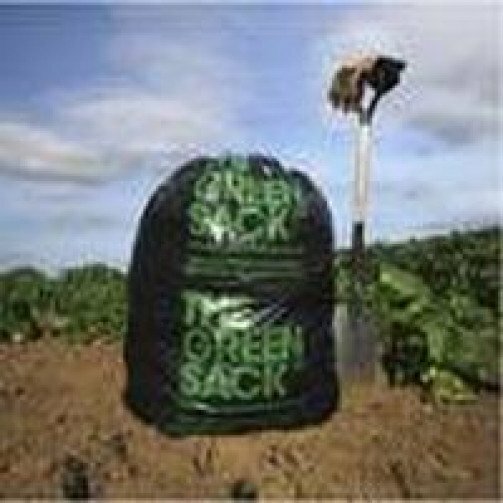 Using British and Irish farm polythene, recycled only in UK plants, drastically reduces product miles and gives Green Sack a carbon footprint that is 35% lower than imported sacks. Moreover, every tonne of polythene they recycle into Green Sacks saves 1.4 tonnes of CO2, cuts sulphur/nitrous oxide emissions by 33%, reduces water usage by 90% and saves 1.8 tonnes of oil. So if you are looking for a top quality, recycled and tear resistant refuse sack that doesn't cost the earth then look no further than the Green Sack from Janitorial Direct Ltd.